Servant and Steward: DAILY UPDATES: Do you know what's happening with the ISIS? DAILY UPDATES: Do you know what's happening with the ISIS? N.B. : I have reordered the series of links below to keep the most current date at the top of the list. Hence forward, when I add links to previous dates I will not only preface the link with UPDATE but also with the date of the update. Please keep sharing this link to keep people informed and continue to pray for the Iraqi Christians. N.B. : I have decided to continue this series of updates with a new post here. UPDATE (9-28-2014): "Dialogue cannot stop extremists"
UPDATE (9-26-2014): What is the Khorasan Group? UPDATE (9-26-2014): Americans in ISIS Have Returned to U.S.
Australia raids over 'Islamic State plot to behead"
Archbishop of Mosul: "Recognize genocide against Christians"
UPDATE (9-18-2014): King Abdullah: "We'll do out utmost to protect Arab Christians and enhance their presence in the region"
Has Turkey woken up to Islamic State threat? Iraq - What future for Christians? UPDATE (9-12-2014): CRS Video from Iraq Will Melt Your Heart: Watch, Pray, Share, & Give! UPDATE (9-12-2014): Will campaign against Islamic State unleash wave of repression? UPDATE (9-8-2014): What about those Muslims who condemn the Islamic State violence? UPDATE (9-7-2014): Why Aren't Muslim Nations Rising Against ISIS? A glimpse inside the crisis nuns are confronting in Iraq: "There is nothing promising at all"
UPDATE (9-2-2014): Do the Qur'an and Islamic law forbid terrorism? UPDATE (9-2-2014): Why the silence on Christian elimination? UPDATE (8-26-2014): Parolin: "The events in Iraq are not a clash between Islam and Christianity"
UPDATE (8-26-2014): In wake of James Foley's beheading, can we finally say the I-word? Does an Islamic state run on 'ideology,' 'theology,' or both? Obama claims ISIL speaks for no religion. Then what's the "I" in "ISIL" stand for? Archbishop of Mosul: "I have lost my Diocese to Islam - You in the West will also become victims of Muslims"
Islamic State Beheads Kidnapped American James Wright Foley as "Message to America"
UPDATE (8-16-2014): As ISIS nears, is it game over for Syria's opposition in Aleppo? UPDATE (8-14-2014): Pontifical Council Cor Unum Statement on Iraq: "These programs that have been initiated by the local Church, especially through Caritas Iraq, have reached at least 4,000 households." What Prayers Shall I Say Now? Papal Envoy: "The Pope wanted to be there with the people in person"
Forgetting the Christians: Can Christians Ever Be the Victims of Genocide? UPDATE: FactChecker: Is ISIS Beheading Children in Iraq? 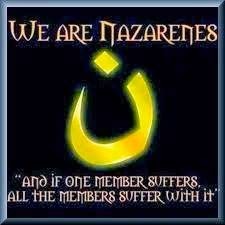 UPDATE: Adopt a Christian in Mosul - I just did! ISIL to U.S.: "We will raise the flag of Allah over the White House"
Patriarch of Iraq YELLS at the world: "Where are you?" UPDATE (8-13-2014): Who are the religious and ethnic groups under threat from ISIS? UPDATE: Bishop of Baghdad: Why Is the World Silent? Is the Islamic State right about Islam? Did the Pope snub the Greg? What does your flight really cost? Are you a conscious participant at Mass?